Their quests are different, but many of the technologies they use and most of the issues they face are similar. CERN and ITER have a lot in common—right down to a former director general in the person of Robert Aymar who headed ITER from 1994 to 2003 and the European Organization for Nuclear Research from 2004 to 2008. Physicists and engineers from CERN and ITER belong to the same family of searchers after nature's secrets. At a workshop on 30 September they compared notes on their respective experiences and expectations. However science and technology are not the only fields where the two institutions can share experience. The 60-year-old CERN and the newer-born ITER also face common issues relating to procurement, scheduling, relations with industry, governance. Age certainly makes a difference: CERN was born in 1954 at a time when science and technology embodied the hopes and dreams of the post-war generations; ITER is coming into the world in a difficult context marked by defiance and economic hardship. Collaboration between CERN and ITER goes back a long way. It was formalized in 2008 by the signature of an Agreement that provided opportunities to cooperate in scientific, technological administrative fields. 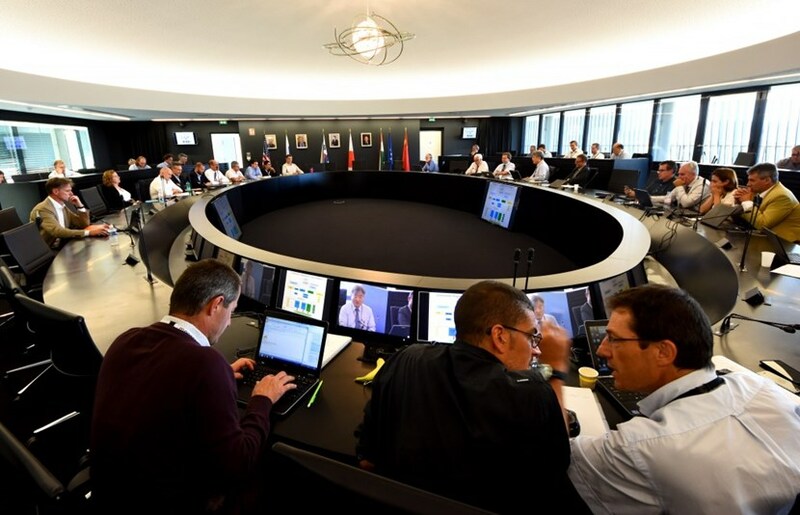 The collaboration has been highly successful, with CERN running several experiments for ITER and becoming the reference laboratory for testing the superconducting strands of the ITER magnets. 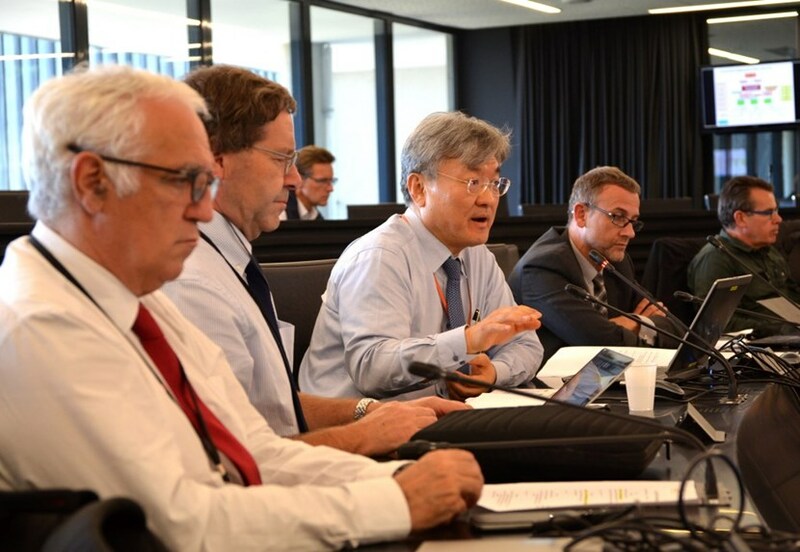 At the last steering committee of the CERN/ITER Collaboration Agreement, on 29 June 2016, a need arose for broader discussions on strategy, perspectives and lessons learned from CERN. One issue that interested ITER especially was the installation and assembly of the Large Hadron Collider (LHC) and the subsequent 2008 magnet quench incident that led to shutdown and repair. From left to right: Frédérick Bordry, Director for Accelerators and Technology at CERN; Austin Ball, Technical Coordinator for the Compact Muon Solenoid experiment; ITER's GS Lee, Deputy Director-General, who chaired the workshop; and Arnaud Devred, Superconductor Systems & Auxiliaries Section leader, who organized it. At a workshop on 30 September, attended by 6 guests from CERN, ITER management and representatives of the MOMENTUM consortium, which will manage and coordinate the assembly and installation of the ITER Tokamak and associated plant systems, notes were compared on respective experiences and expectations. "Over the years, CERN has developed an ability to learn and improve, especially as witnessed during the LHC installation and its aftermath," explains ITER Superconductor Systems & Auxiliaries Section leader Arnaud Devred, who was behind the initiative. "This experience will feed our reflexion at a time when the ITER management is setting up a new organization for the assembly of the installation." "The transition from paper project to installation is critical—always and everywhere," adds José Miguel Jiménez, head of the Technology Department at CERN. "It's like passing from adolescence to adulthood ..."
As "parents" having more experience with difficult children, the advice and counselling from CERN experts proved precious. "It was not just about the obvious technologies that we share," reflected Frédéric Escourbiac, leader of the ITER Divertor Section. "It was about procurement, scheduling, methodology, human resources, values, and culture." The workshop proved so worthwhile, that it has been decided to organize another session—this time at CERN in January 2017.